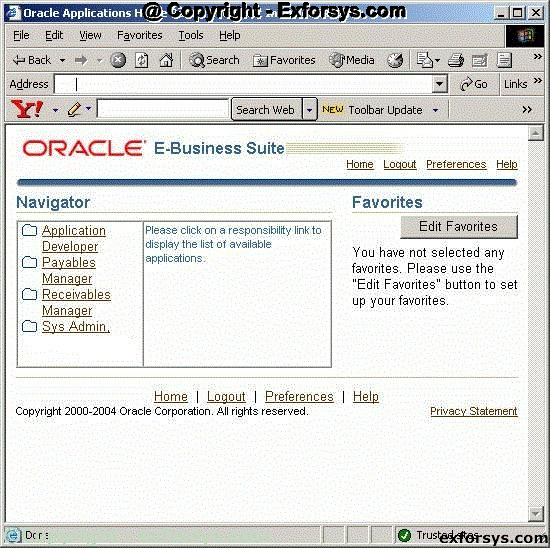 This tutorial explains about Oracle Apps login, Choosing Responsibility, Choosing Function / Opening Form, Switch Responsibility, Query Form and Keyboard Shortcuts. 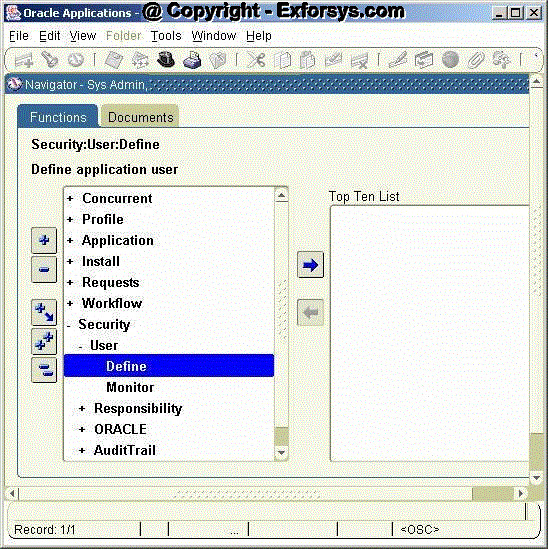 This chapter would tell a user about the basics of login to the Oracle Applications instance. 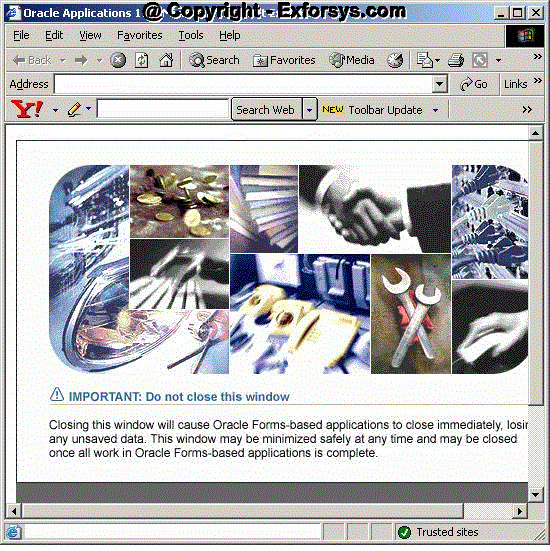 It would also demonstrate the basics of working with Oracle Applications. 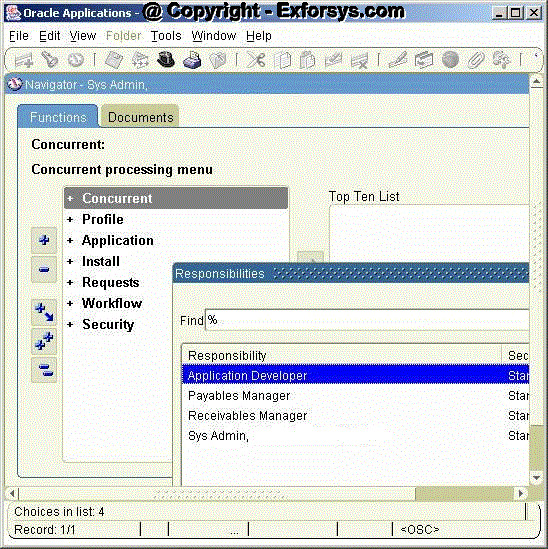 To understand the complete functionality of a particular responsibility please refer to the respective User Guide. 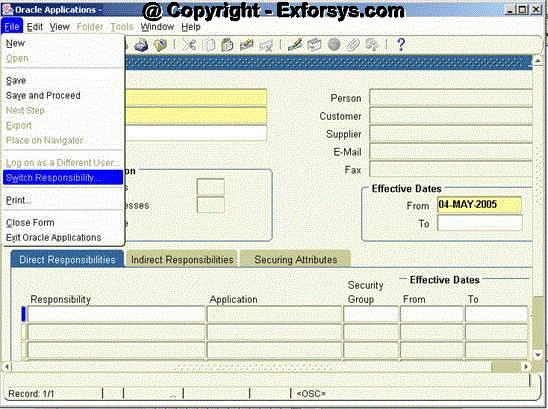 Click on the Define link under the Concurrent : Program Menu. 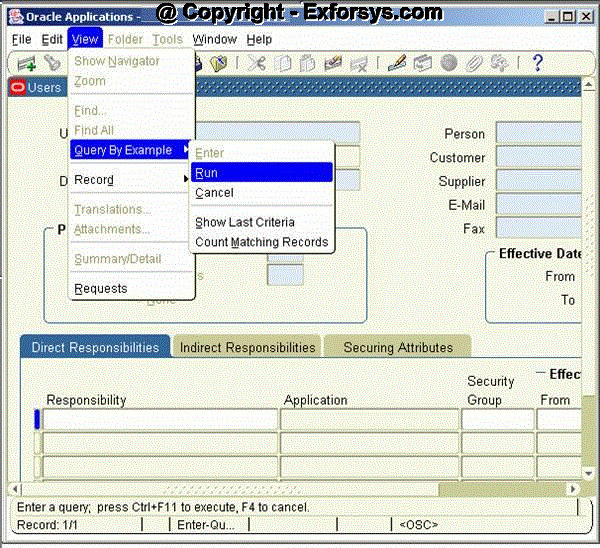 This will open the form to define the Concurrent Program in Oracle Applications. The form is shown in the Figure 5 below. 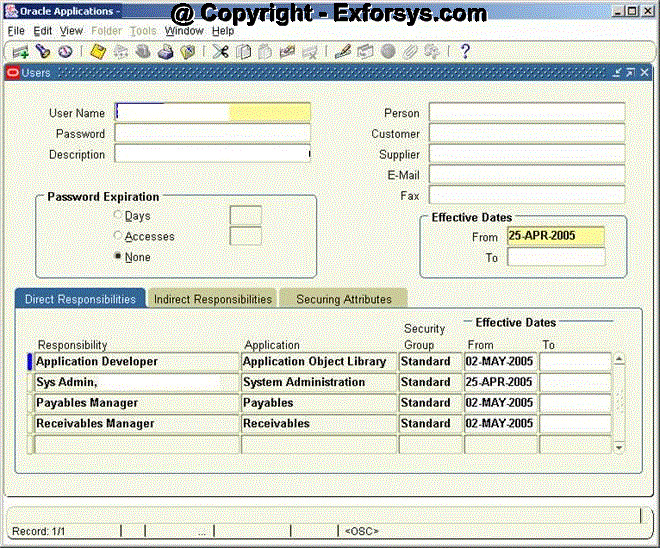 Query Form The Define shown in the figure 9 above is used to create Login Ids for the Oracle Applications users by the System Administrator. 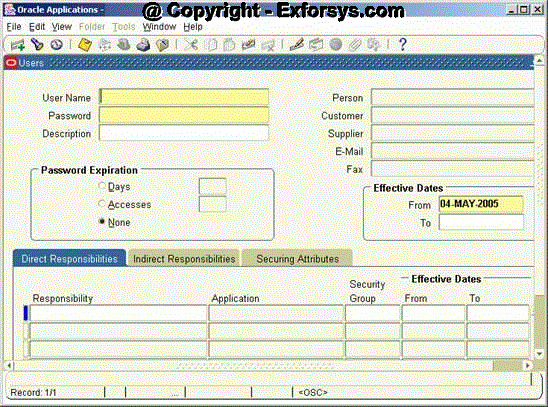 The same form can also be used to query the existing users’ data. 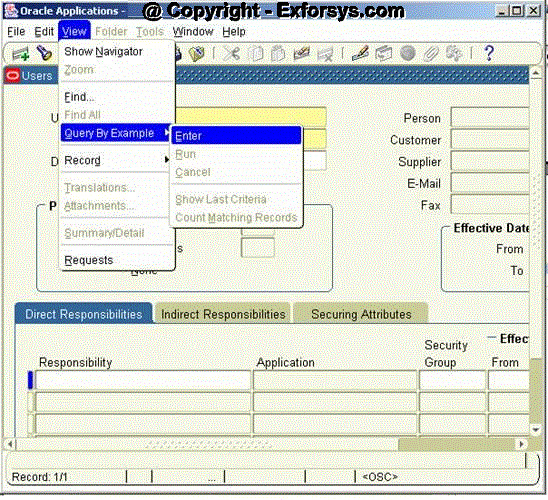 To view (query) the existing data go to View->Query By Example->Enter to enter the query criteria as shown in the figure 10 below.